Releasing tension is key to reducing forehead lines. this move also helps improve concentration, relieve headache pain and relax the eyes. Be gentle when massaging the eye area. A light touch will actually reach all three layers of the skin. Moisturize if you need to. Let’s wake up the cheeks with these easy moves. Anything we can do to improve circulation naturally aids in collagen and elastin production. Tone, define & release tension from the jaw area. Exercising & relaxing the large muscles that run from the sides of the jaw downward will help to combat Turkey Neck. Pamper yourself with this quick, all-over face massage. Tapping, anywhere on the face and body, has an immediate, calming effect. Get an instant blush and increase collagen & elastin production. Get your lips ready to be kissed. 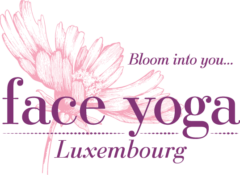 Celebrate yourself all year long with this Holiday message from Face Yoga Luxembourg.